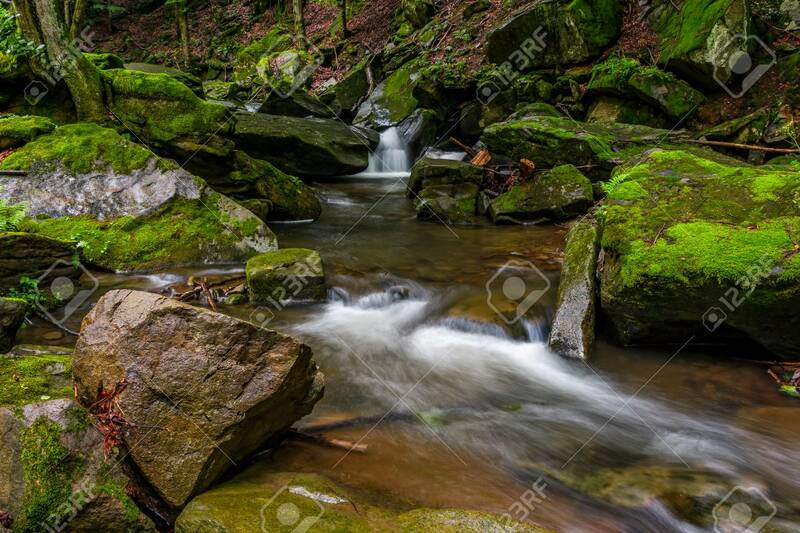 Powerful Creak With Cascade In Green Forest. Tones Covered With.. Stock Photo, Picture And Royalty Free Image. Image 82614332.